← What’s Happening to My Loved One? Do you know the difference between depression and dementia? What about anxiety disorders or delirium? Matters of the mind are especially important for seniors. As caregivers, staff at OptimumCare Home Care Services is knowledgeable and educated regarding these matters, and family members should be as well. The most common signs of depression include a sense of apathy or hopelessness, observable changes in weight, sleep habits, as well as complaints regarding physical abilities and wellness. Withdrawal from family, friends and social environments is also common. Signs of trouble when it comes to symptoms of dementia can include various levels of forgetfulness, confusion, or mental lapses that gradually get worse. However, it’s important to be aware that just because Dad gets forgetful or confused once in awhile doesn’t necessarily mean he has Alzheimer’s or any other form of dementia. The same goes for depression. In many cases, the symptoms of depression are often blamed on existing illnesses or treatment approaches including medication. Long-term illness as well as treatments for those conditions grow tiresome for the elderly. They often complain of “being tired of being sick.” Such an attitude can literally derail a positive recovery. It’s not always easy to identify depression, especially in those who don’t complain of any sense of anxiety, hopelessness, or sadness. 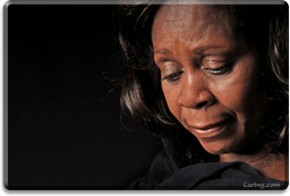 When a senior is depressed, they often fail to take care of themselves. A diabetic who doesn’t pay attention to his feet or doesn’t control his diabetes through a carefully monitored diet, or mention sores on his feet to family members or caregivers, may end up with serious medical complications. Professional caregivers at OptimumCare Home Care Services know and understand that we all go through periods of depression or lethargy in our lives. However, if you or a loved one notices any signs of sadness or dejection that goes on for more than a few days without any cause, or your loved one expresses increased feelings of worthlessness, helplessness or hopelessness, it’s time to get help. A loved one or parent who no longer pays attention to personal hygiene or grooming, withdraws a socially, or expresses lack of interest in any activity that was formerly enjoyable for them may be depressed. If you notice your loved one has experienced such feelings for more than two weeks, or longer than two or three months following the death of a loved one or a move, it’s time to suggest a visit to the doctor.